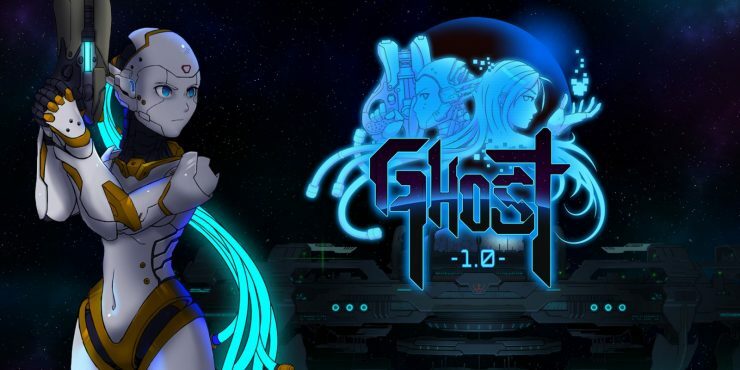 From developer unepic_fran and publisher Francis Cota comes Ghost 1.0, a sci-fi metroidvania that originally debuted on Steam in 2016 but has finally landed on the Nintendo Switch! Your adventure begins when two hackers hire a mysterious digital agent as they attempt to break into the Nakamura Space Station. The digital agent they hire is “Ghost,” a female humanoid life form that has the ability to control a Chassis that represents your physical body. 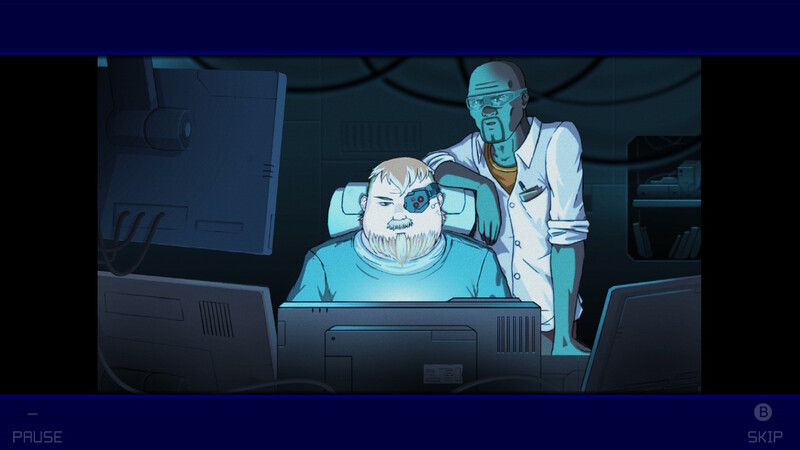 By hiring you, the hackers hope to uncover one of the greatest electronic secrets ever, but this space station is designed to protect itself from intruders. The onslaught of weapons and artifacts that continue to target you will all need to be taken out in order for you to succeed, but in the process you may discover something about this “Ghost” that has you second guessing everything. Two hackers have hired you to uncover an incredible secret! 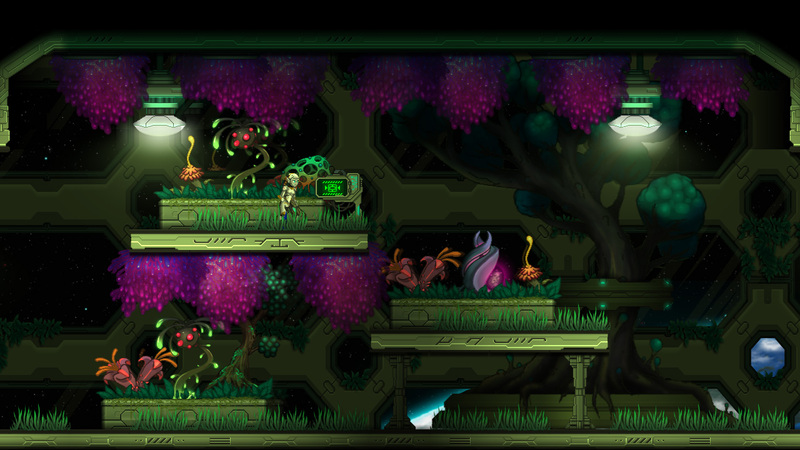 As is standard for games in the metroidvania genre, much of the game sees you exploring the expansive environment while also completing tasks in each space. This sequence usually results in additional areas being unlocked to complete more tasks, and so on and so on. 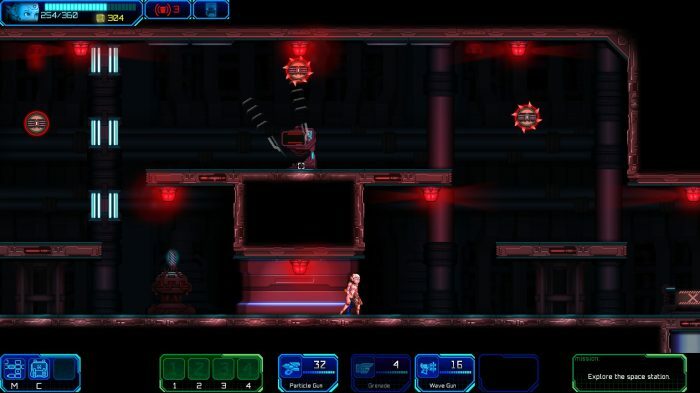 Ghost 1.0 is really no different, with rooms containing alarmed traps or bosses that you must ultimately destroy in order to gain access to more of the areas in the game. Combat is handled primarily with projectile weaponry but can be a little nuanced. Gamers who have played twin-stick shooters should be able to handle the combat with relative ease, but for newcomers to this style the left joystick controls the movement of Ghost’s body and the right stick controls the aim of her weapon. When using the default weapon your ammo will never run out. It uses a charging system rather than a traditional load/reload system. This is helpful because you can ‘spray and pray’ at onslaughts of enemies at the beginning, but this style can be something that ultimately leads to your death unless your accuracy improves. If you continue to have trouble with accuracy, there is a lock-on feature that is available for you. Collect new weapons and upgrade your character as you progress through the game. As you progress through the game, you’ll find that there are quite a few different upgrades that can be made to your Chassis and weapons for you to collect. These weapons allow for different combat options, but the upgrades are grown through the use of a skill tree that directly impacts how you can play the game. This gives the game a greater depth of individual customization, much like that of an RPG. If you happen to play the game in survival mode, upgrades are obtained more quickly but the price you pay for losing your life is more severe in that you lose everything you’ve collected up to that point. When playing in classic mode this isn’t the case. You’re able to generate a new 3D printed version of yourself from one of the save towers you can access on your journey. Environments are vast, and the challenges continue to pile on. Another gameplay mechanic that is worth mentioning is Ghost’s ability to separate her digital spirit from her humanoid body. By doing this she is able to pass through areas of the room that were previously inaccessible and even take control of enemy robots. This mechanic was a pretty unique twist that I really enjoyed while playing. I’ve said this many times in my reviews, but I am a sucker for retro styled graphics. Rather than throwing things all the way back to the 8-bit era, Ghost 1.0 takes greater inspiration from the 16-bit styles that came on the Super Nintendo. The resulting decision creates a very clean art style that looks great in both handheld and docked modes. The environmental backdrops also fit in with this style as they add lots of flow between the different areas of the game. Throw on an upbeat and dynamic soundtrack to match the science fiction elements of the game and you’ve got the foundational elements for a great experience. In the ever-crowded Nintendo Switch metroidvania library, it’s hard to separate yourself from the games that have laid the foundation for the genre’s success (Dead Cells, Axiom Verge, and Hollow Knight are just a few of these games). This port doesn’t necessarily do a ton to innovate, but everything it does do it does with enough success to make it memorable and with a price point of $9.99 it’s definitely a Nintendeal for fans of the genre or for those of you who may be looking for something different. 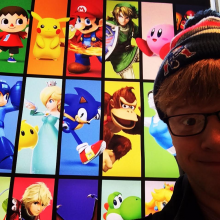 Nintendo’s N64 Trademark Approved: is the Nintendo 64 Classic Incoming?